Secondhand Smoke is the smoke that is exhaled or comes off burning tobacco, which is then inhaled by others, including nearby non-smokers and pets. Secondhand smoke causes approximately 7,330 deaths from lung cancer and 33,950 deaths from heart disease each year. 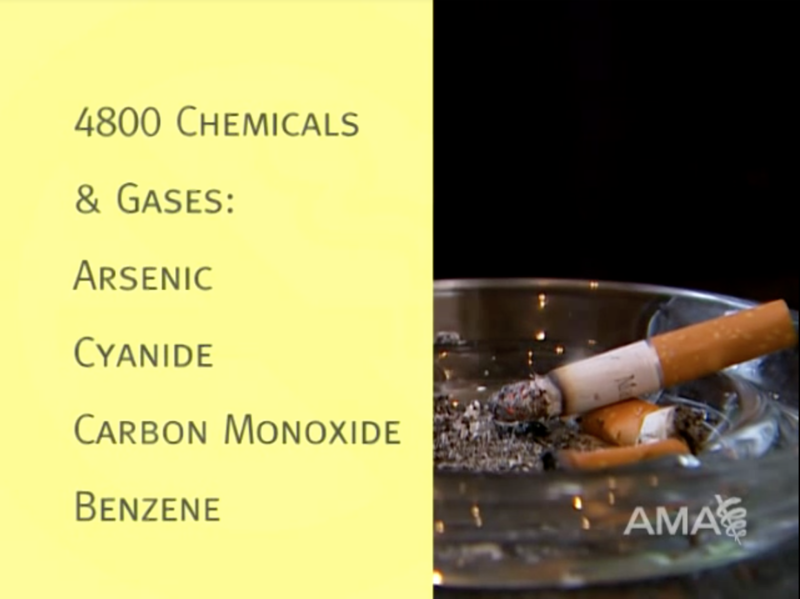 Secondhand smoke contains 7,000 chemicals, and at least 70 are known to cause cancer. Exposure to secondhand smoke is known to cause heart attacks, strokes, and lung cancer. It is impossible to prevent cigarette smoke from filtering through the walls between units. 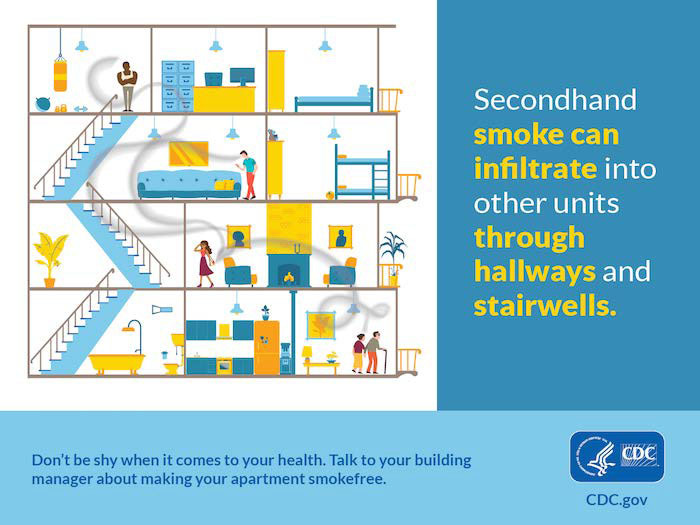 Secondhand smoke can infiltrate into other units through hallways and stairwells. Chemical components of tobacco smoke impact fetal brain development in all stages of pregnancy. Babies exposed to secondhand smoke are at an increased risk for Sudden Infant Death Syndrome (SIDS). Children who breathe secondhand smoke are more likely to have lung problems, ear infections, and worse asthma from being around smoke. Pets breathing secondhand smoke are three times more likely to develop cancer and breathing problems. Thirdhand smoke is the harmful residue that clings to virtually all indoor surfaces long after the secondhand smoke from a cigarette has cleared out. Components found in thirdhand smoke have been proven to cause DNA damage. The residue that is thirdhand smoke can react with household cleaning chemicals to create carcinogens and release them into the air. Even if you can no longer smell the smoke, thirdhand smoke is still present. There is no way to get rid of thirdhand smoke. 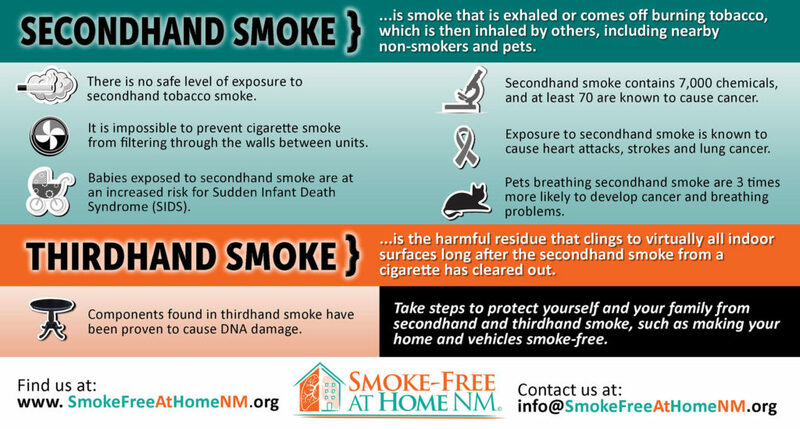 For residents of multi-unit housing (e.g., apartment buildings and condominiums), secondhand smoke can be a major concern. It can migrate from other units and common areas and travel through doorways, cracks in walls, electrical lines, plumbing, and ventilation system. Protect you and your loved ones from secondhand and thirdhand smoke. Fill out the form below for more information on how you can live smoke-free.  To help Smoke-Free at Home NM identify which properties have smoke-free policies, please fill out this anonymous survey. 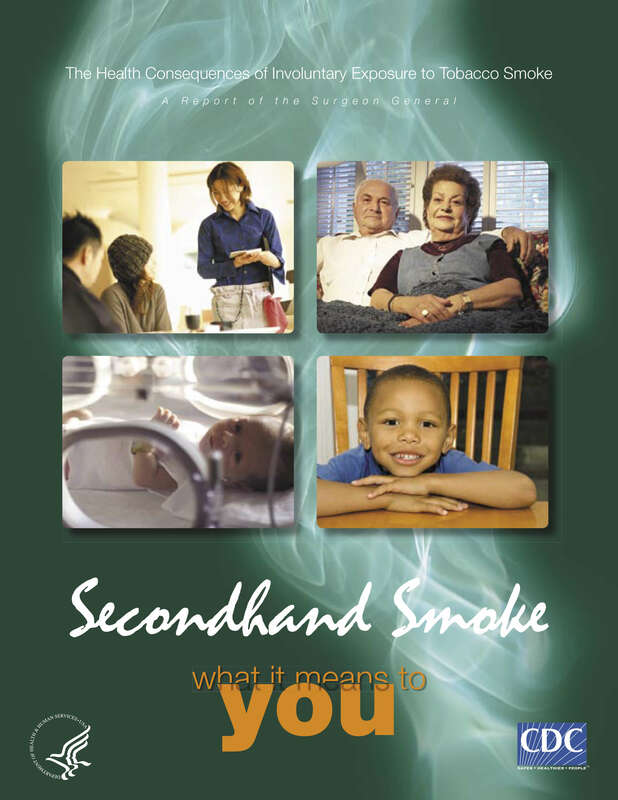 Would you like to learn more about second-hand smoke? Select one...NoYes Would you like to coordinate a Smoke-Free at Home NM Workshop for you and other residents? Workshop includes light lunch, session on the dangers of secondhand and thirdhand smoke, and Thinking About Quitting (for people who are thinking about quitting smoking). When Your Building Goes Smoke-Free, Will You?Cuando Se Prohíba Fumar En Su Edificio, ¿Dejará De Fumar?